The second project that was touched by me (not planned) is Google Cloud Platform (GCP). It started with preparing my refresh of Mesos/Marathon Tutorial that I did run already in 2015 just before Openstack summit in Vancouver. The tutorial that time required Vagrant to run locally, vagrant was using Oracle VM Box. In 2015 I wanted to use VMware Workstation and bought Vagrant module for VMware workstation and spent some time tweaking it to get the tutorial running. This week when started reviewing preparation steps I discovered that now AWS, GCP and others can be used. 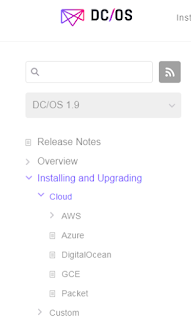 I have a significant amount of free GCP credits – so I started setting up Mesos in GCP. I’m almost done with the setup and will blog about it when it’s all working. But the experience so far was BREATHTAKING – I can’t stop saying “this is so cool” to myself while deploying VMs in GCP, configuring automation through Ansible and deploying Mesosphere pieces.